Many thanks to new author Lisa Laird DiRosso for sending me an autographed copy of her new book He Who Sings Last to giveaway here on Falling Off The Shelf. I was lucky enough to read and review a copy of this book here, and extremely ecstatic to be able to interview the author. Don't want to wait to see if you win? Order your copy from Amazon.com! Just how far will one fan go to prove her loyalty? In her novel He Who Sings Last, Lisa Laird DiRosso expertly knits a blanket of obsession laced with suspicion and murder in a suspenseful crime novel centered on has-been celebrity Jimmy Covelli. He leads a quiet, post-fame existence until some ghosts from his past come back to haunt him after nineteen years, when an unsolved murder case is reopened by a zealous New York detective. Covelli charms and harms wherever he goes, and in his destructive path, he leaves behind a host of resentful family members and brokenhearted fans. Will the detective catch him and be able to prove his guilt? Find out in He Who Sings Last. TO ENTER you MUST post a COMMENT telling me YOUR CELEBRITY CRUSH and a VALID EMAIL ADDRESS. If you fail to supply either of these, your entry will be void. If you have ever had a teen idol, and thought the object of your affection could do no wrong-you may rethink that after reading this great new novel by Lisa Laird DiRosso! He Who Sings Last tells the story of a woman who though successful in her career and social life, has never gotten over that first love. Her nearly obsessive crush on a one time very sought-after crooner, Jimmy Covelli still is very much in the foreground of her mind. As a teen, she cherished the memory of getting a photo and autograph from her dream man. She tells herself "It's now or never" and sets out to find the elusive star and confront him face to face, to see if her intuition was as right as she felt it was. She believes Jimmy Covelli IS her destiny. Now, nearly 20 years later, Miranda Madison finds herself once again in the presence of the man she has adored for much of her life. But she never would have imagined where this obsession would take her. Suddenly she is swept into his world, with a cast of intriguing characters. Miranda soon realizes the old adage is true...BE CAREFUL WHAT YOU WISH FOR. This novel takes you on the journey of several key characters....with many a twist and turn. Detective John Vintoni, a cop determined to tackle a cold case involving Covelli, Kat Logan, Miranda's best friend, Justin Covelli, Jimmy's mysterious brother and even Miranda's estranged father become central parts of solving two crimes, one that happened many years ago, and one that has just occured. Their lives suddenly become woven together, and between them, they hope to prove that you can't judge a book by it's cover, and fame and fortune doesn't mean you can get away with murder. Or can you? 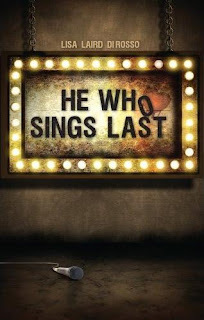 Be sure and order "He Who Sings Last"! You will be caught up in the suspense of this fun page-turner, and looking forward to the sequel, too! I would love to read this, and awesome contest! My celebrity crush is Gerard Butler, and Pierce Brosnan to a lesser degree. Something about an accent :) I'm a follower. Sorry but I'm still a teen here so I have to go with Taylor Lautner...we all know why. I don't know if this counts, or not, but my B-day is October 18. You did a great review on this previously and peaked my interest! Linda's comments above also describe the book well. So, please enter me in your giveaway! An autographed copy just makes winning it even nicer! My celebrity crush would be Jeffrey Dean Morgan. What a manly man! He's a major drool factor! Celebrity crush would be Jonathan Rhys Meyer. I saw him for the first time in the movie "To Ride with the Devil". He plays the bad guy. Jonathan with long hair is to gorgeous. +1 I'm now following you. Oh, and my birthday is July 1st. A celebrity crush? I have a ton...I guess a couple that I doubt others will pick are Diego Luna and Guy Burnet. Gotta love the foreign boys. Feel free to enter my book giveaways as well. 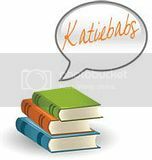 i'm following your blog now as well. This looks interesting! Please enter me! My celebrity crush is Colin Firth. Hugh Grant is my celebrity crush. In this order... Colin Firth, Johnny Depp, Christian Bale. Thanks for the giveaway. My crush is Bruce Willis. I love suspense books. Please enter me. Thanks! +1 I am a subscriber! My celebrity crush is Brad Pitt. Sorry, I forgot to add my email so I deleted the comment so you wouldn't have to. I love me some John Travolta!! My celebrity crush is comedian/actor Bill Bellamy and actor. Maybe entering on my birthday will give me good luck. I hope so. I have always loved Denzel Washington. My celebrity crush is Chad Michael Murray.